One of the many German bands to release a single album on a private label and watch it grow into a collector's dream. 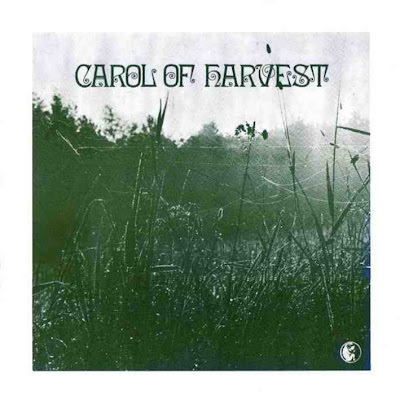 Carol of Harvest played a dreamy blend of Progressive Rock and Folk with female vocals that might be compared with Mellow Candle and early Clannad mixed with Jane, Pentangle and Renaissance. The music has the added edge of long arrangements with Moog synth and acid guitar solos, and in reality has little to do with Krautrock. Information on the band members is very hard to find, helping to shroud this hard to find album with an air of mystery.